Jaylin & Gita Yoga Fun! Have you heard the news? About our brand spankin’ new blog coming in January? I met my partner-in-yoga-crime four years ago, and she’s simply too amazing to keep to myself! When I arrived in Massachusetts from Chicago, I was eager to share the practice of Yoga for the Special Child®, so I sought out groups that work with kids with special needs. 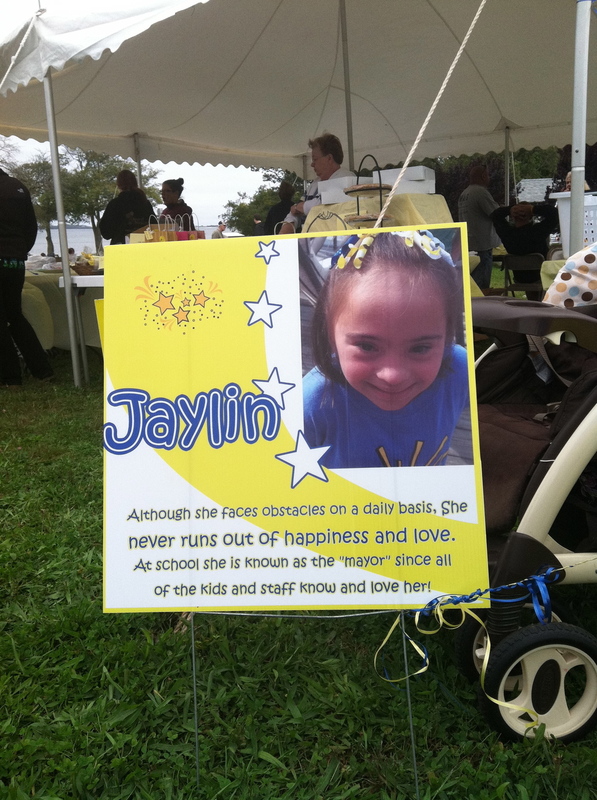 Enter Jessica, the intrepid leader of the South Shore Buddy Walk, a celebration to raise awareness for Down Syndrome. I’ll share the rest of this story next year, now it’s Jessica’s turn! Please, share this with your friends. You never know how a tiny seed of inspiration can grow! Yoga Practice, Lifestyle Inspirations, Shine!Gita Brown November 20, 2013 yoga, Shine!